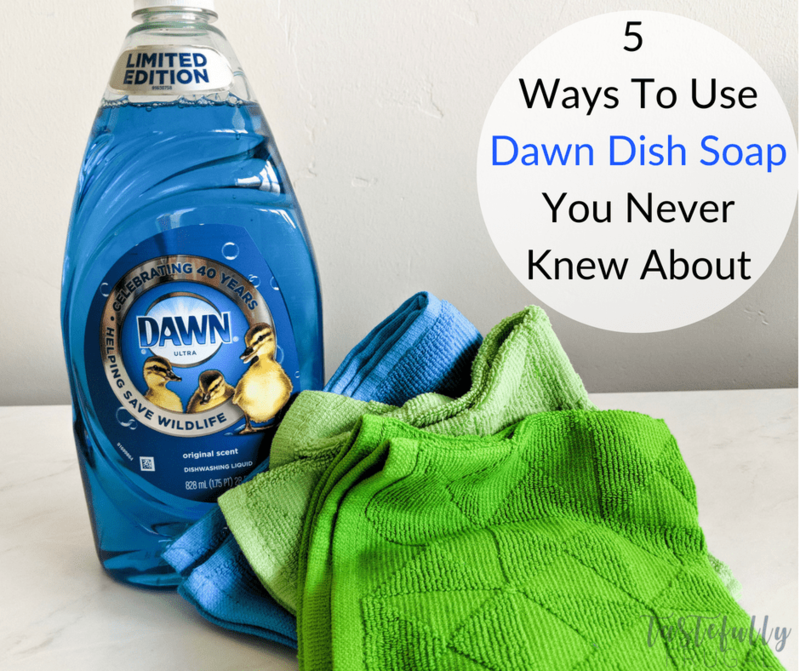 Dawn dish soap isn’t just for dishes. 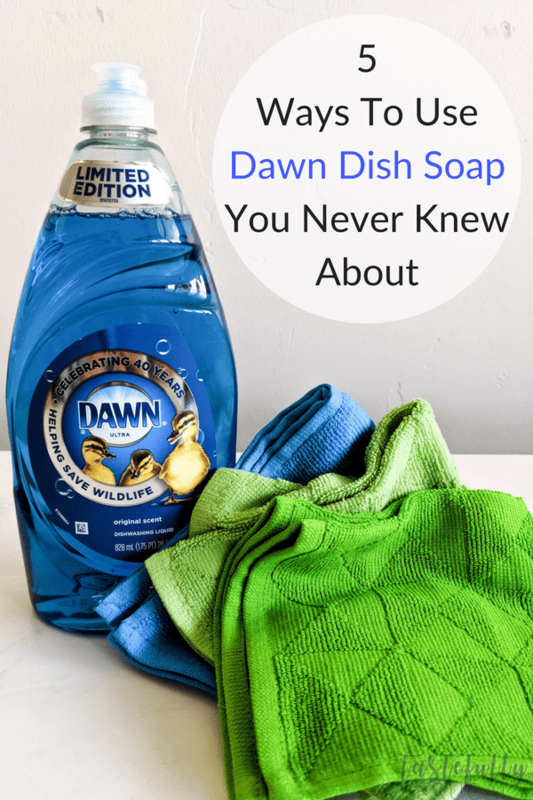 Check out 5 unique ways you can Dawn dish soap below AND enter to win a VIP Wildlife Experience. I have been ONLY using Dawn dish soap to clean my dishes for about 10 years now. I tried other brands in the past but nothing comes close to working as well as Dawn. Not only does Dawn clean my dishes really well, but each bottle lasts me quite a while and I LOVE that Dawn helps save wildlife and supports some of the foundations I am passionate about. This month, Dawn is celebrating 40 years of helping save wildlife! And Dawn is the only brand that has been trusted by wildlife experts for being gentle enough for the sensitive skin of animals. I have always loved seeing the commercials of Dawn being used to clean ducks and other animals! To celebrate, Dawn has a new, limited edition bottle and has two new coupons you can print and save here. Not only is Dawn tough on grease and safe for wildlife’s sensitive skin, it’s safe for ours too! And it cuts grease amazingly! 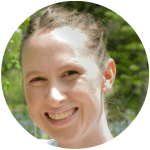 Check out these 5 ways I’ve been using Dawn dish soap on my skin and around the house. On My Hair. I’ll be the first to admit that there are weeks where I only wash my hair two times (sometimes only once). Mom life happens and washing my hair usually gets pushed down at the bottom of my list. On days when I don’t have time to wash my hair, I usually get it wet, use gel to curl it and put it up in a bun. After 3 or 4 days of this the product build up in my hair can get a bit out of control and my normal shampoo just doesn’t cut it. Enter Dawn. I use just a few drops of Dawn dish soap in place of my normal shampoo and it cuts through all that nasty grease and build up and leaves my hair looking like it did when I could wash it 3 or 4 times a week. On My Nails. Another thing I have let slide since having kids is doing my nails. I just don’t have the time to sit, paint my nails and let them dry. I always feel rushed and then they usually chip within a few days. 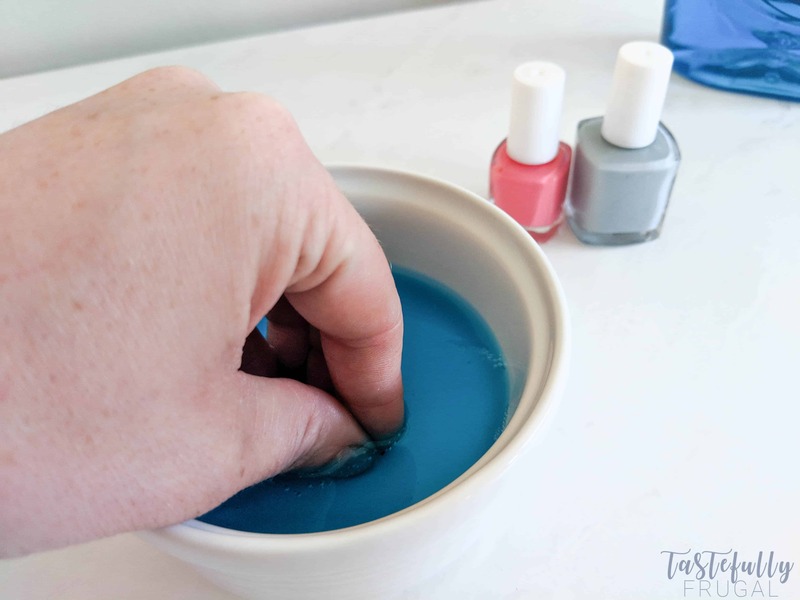 But I found that if I soak my fingernails in about 1/4 cup of Dawn dish soap before painting them, my polish lasts longer and is easier to apply. On My Plants. 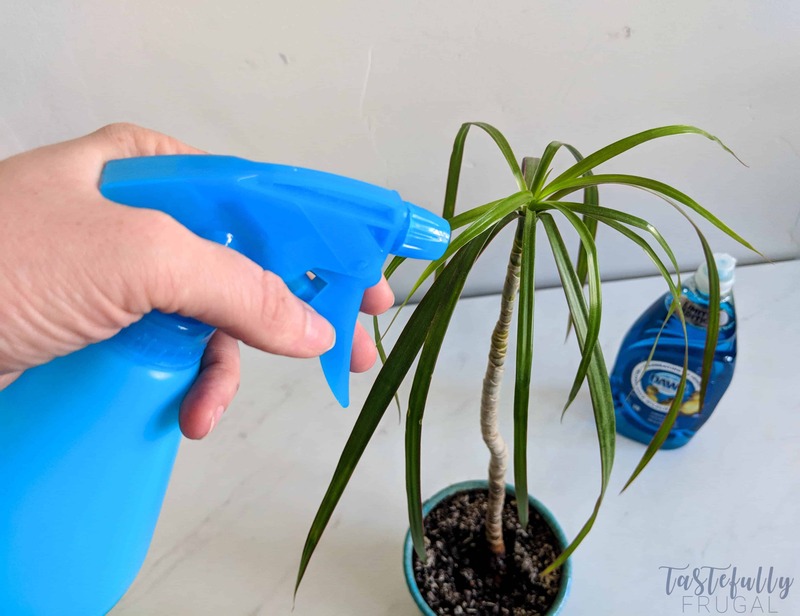 I add a few drops of Dawn dish soap into a spray bottle filled with water and spray my house plants once a week. It keeps the aphids and other bugs from eating the leaves. On My Doors. There is nothing worse than FINALLY getting a baby to sleep only to have them wake up when you close the door and it squeaks. 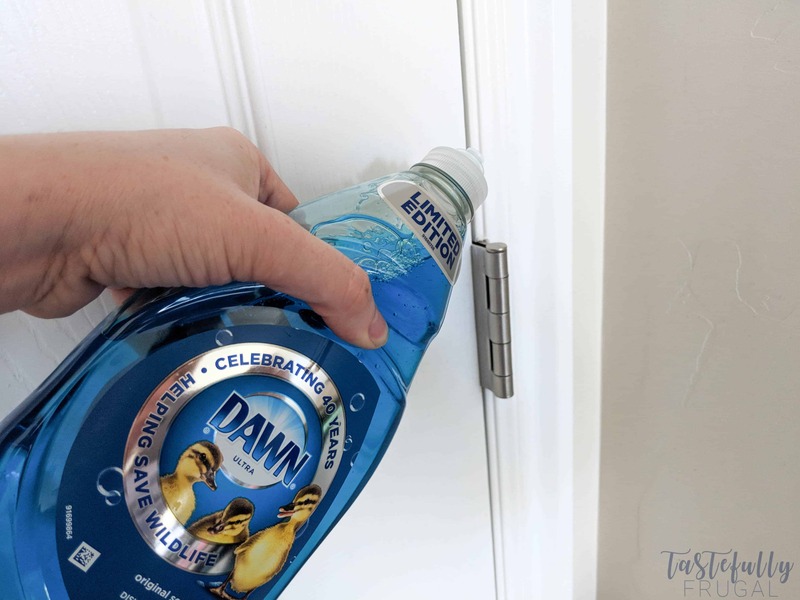 I have been using Dawn dish soap to grease the door hinges in our house and I have to say it works better than any other product I use (and lasts longer too). On My Car. 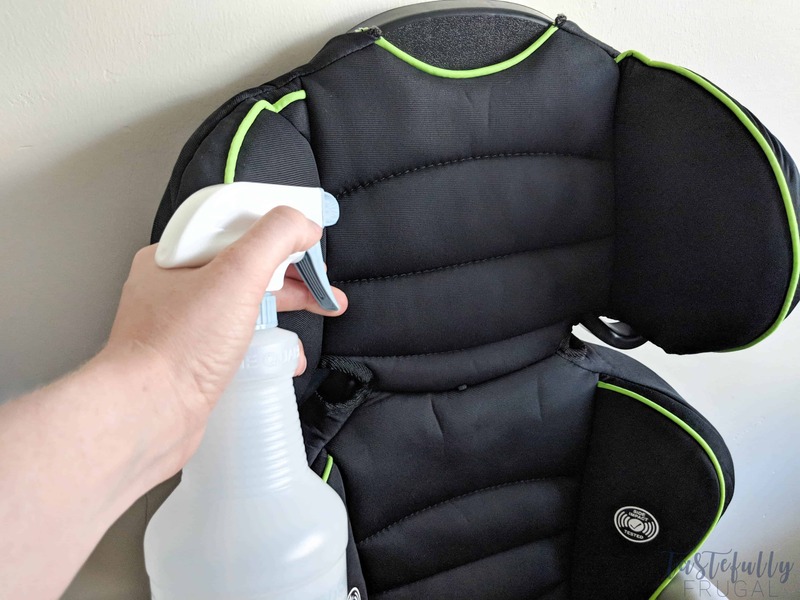 I use a mixture of 2 drops of Dawn dish soap to 1 Spray Bottle of Water to clean the windows on my car and 1 part Dawn dish soap to 2 parts water to clean the upholstery on kids car seats. Juice, candy and stains are no match for the cleaning power of Dawn! To check out more ways you can use Dawn dish soap, including some dish washing tips click here. Want to get a behind the scenes look at how Dawn is helping save wildlife? 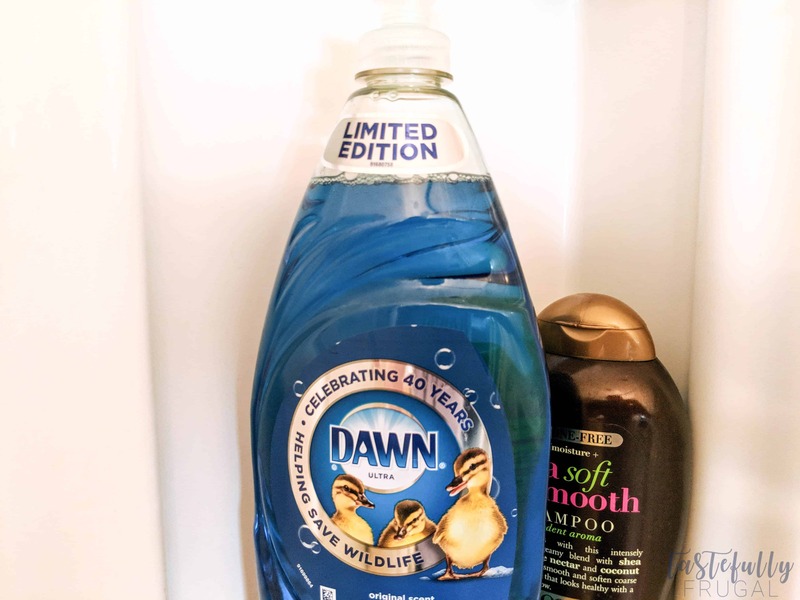 Between now and October 6th, 2018, head into Target and buy a Limited Edition 40th Anniversary Bottle of Dawn dish soap (don’t forget to print your coupon to save up to $1 here), take a picture of your full receipt and submit it here. The winning families will be flown to Dawn’s wildlife partner locations for a behind-the-scenes look at how they are helping wildlife and the animals they save. Good Luck!